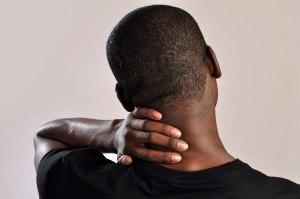 Neck pain can cause even the smallest of movements of the head, neck, shoulders, arms and back to be very difficult. Neck pain can lead to headaches and difficulty in using the body at all. The small size of the vertebrae in the neck - which make the neck more mobile – also make it more vulnerable to pain and injury. Chiropractic treatment addresses the structural cause of the majority of neck pain. After a thorough assessment, Dr. Rob Cartwright in Fairfield, would identify the source of the issue, put together a customized treatment plan, provide relief, and would restore long-term health to your neck and body.